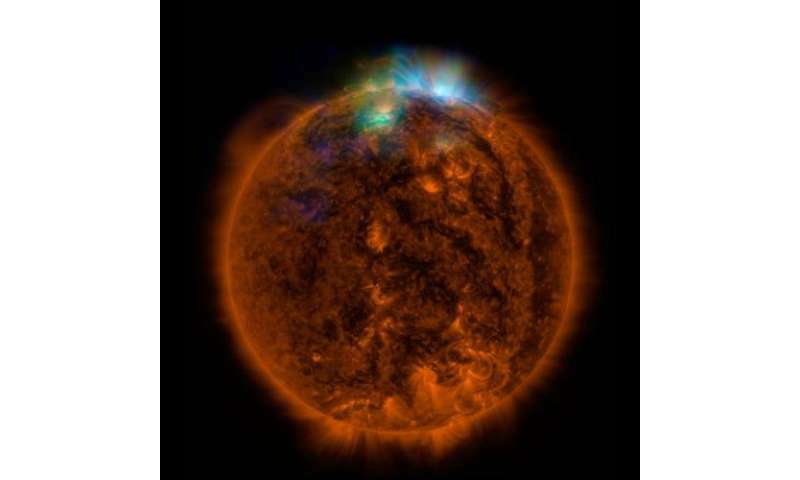 To be pedantic, a solar flare is an electromagnetic manifestation of an event on the Sun and the one responsible for the impending storm arrived here at the speed of light on March 20, 2019 at 11:18 UTC. The storm itself is known as a coronal mass explosion or CME and arrives later. It is important to make this distinction because most flares do not result in CMEs, and most CMEs miss our planet.